The findings at InsertionVSWR of Revex W560 on HF and the suggestion that the low frequency problem is characteristic of poorly designed Sontheimer couplers (Sontheimer, C & Frederick 1966). 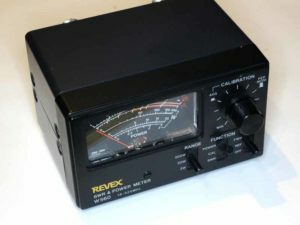 These couplers were popularised by (Grebenkemper 1987) in his Tandem Match – An Accurate Directional Wattmeter and have appeared in ARRL handbooks over the decades, and may have inspired the many commercial implementations of the coupler. 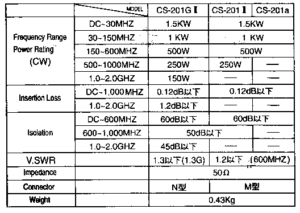 Grebenkemper claims his meter is ‘good’ down to 1.8MHz, but does not clearly claim any particular InsertionVSWR. There is limited value in an instrument that can measure down to 1.05 when it causes significantly higher VSWR itself. 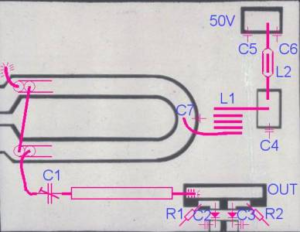 Lets drill down on Gebenkember’s article, specifically the coupler design. The Revex W560 is a dual range VSWR meter that was also sold under other brand names. Optimal Zo for Guanella balun sections left the reader with a though exercise, a transmission line transformer used by PA0V in a 144MHz power amplifier output network. 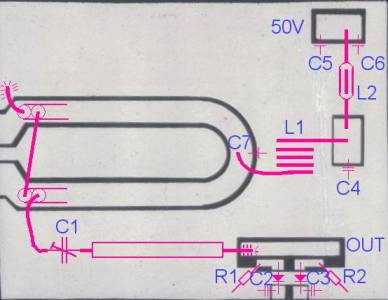 The pair of tabs to the left are driven by FET drains, the upper pink centre conductor is grounded, the lower end connecting to C1 is the output to a nominal 50R load. The network shown near OUT is for fine load adjustment. There are two coax sections making this TLT, shields bonded all the way around and the centre conductors connected as shown. 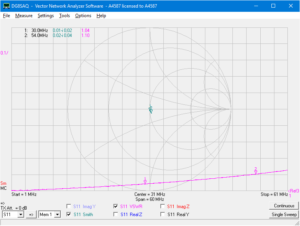 What is the optimal value of Zo for each the coax sections? A Guanella balun may have several sections, and they may be connected in parallel on one side and series on the other side so as to achieve nominal impedance transformation ratios other than 1. The question is often asked, what is the optimal Zo for these line sections? Several answers exist in ham lore, but the answer is relatively simple and revealed by the most basic understanding of transmission lines. If you do not want standing waves on a line section and its associated impedance transformation, then make sure that Zo=V/I… easy as that. Coax switches – is shorting unused port necessary for isolation? 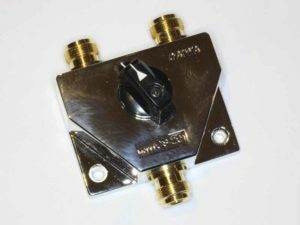 At Ratings of coax antenna switches I showed characteristics of a home made switch which has very low InsertionVSWR, but poor isolation. A couple of correspondents have offered an explanation that the unused port must be shorted to get good isolation. If that was the case, then we would expect all coax switches that leave the unused port open to have poor isolation. Above is a Dowkey 402 series relay which has good performance to GHz. It does not short the unused port. Continue reading Coax switches – is shorting unused port necessary for isolation? In a recent article I discussed how InsertionLoss implies InsertionVSWR in lossless devices. 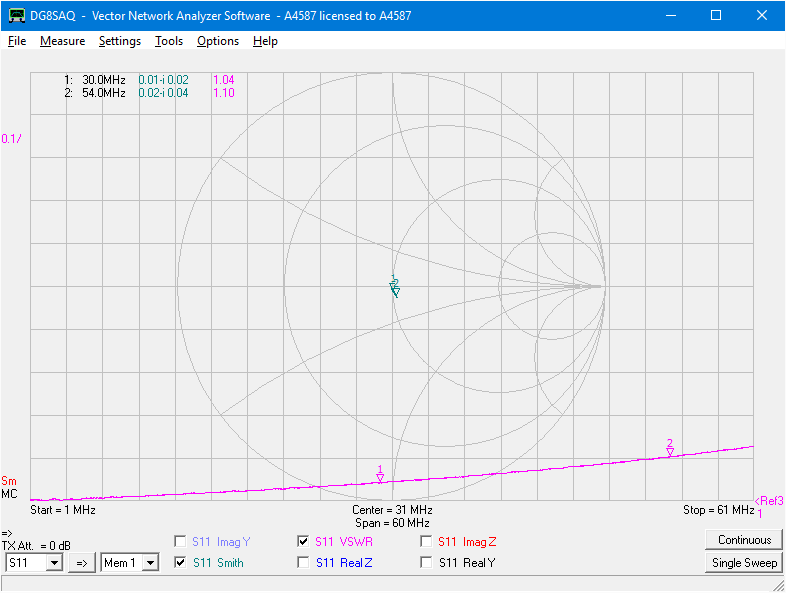 This article looks at measurements of a few antenna switches at hand. It is difficult to find comprehensive data on the very popular Daiwa CS-201 series switches. Above is the data from the packet of one of these switches, a CS-201G II. The specifications are pretty loose, and one must depend on one’s own measurements. Practitioners often find Insertion VSWR (1) of most use as it indicates whether the device is worse than other system devices, the weak link in the chain if you like. 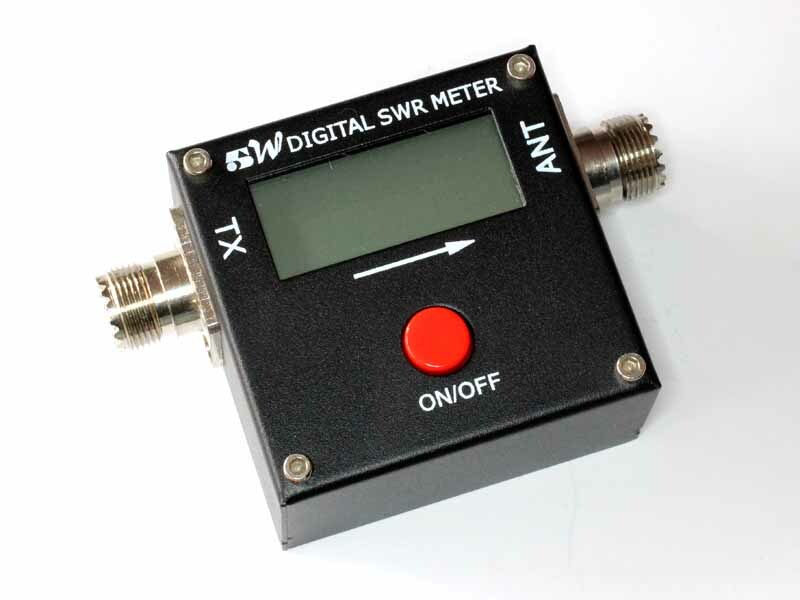 You might see a coax antenna switch specified to have InsertionVSWR<1.2 to 60MHz. Return Loss (2) is a function of VSWR and vice versa, so it appeals when the designer thinks in terms of Return Loss rather than VSWR (and it is a better metric for VSWR<1.2). 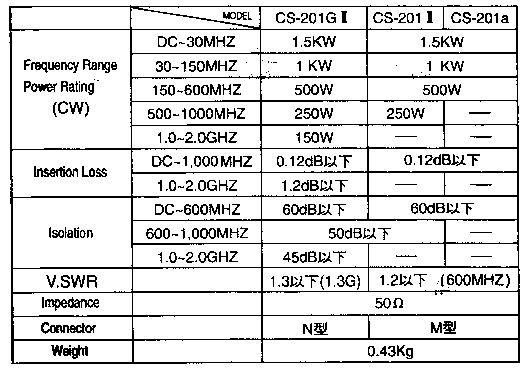 You might see a coaxial relay specified to have ReturnLoss>30dB to 500MHz.